One outcome of the combined diploma project of Bormann & Serman, overall title „Mind your Manners“. It’s regarded as very impolite to salt, before having tasted, especially towards the cook – as if you assumed the meal is tasteless. 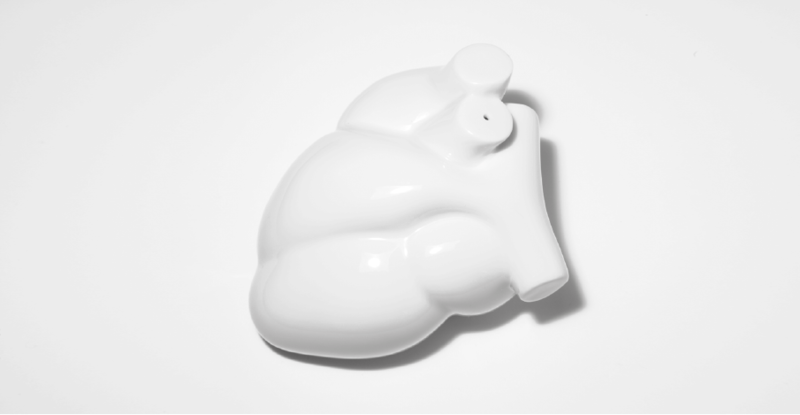 The saltshaker in an organic heart shape prevents ill-mannered, untimely salting in a roundabout way. 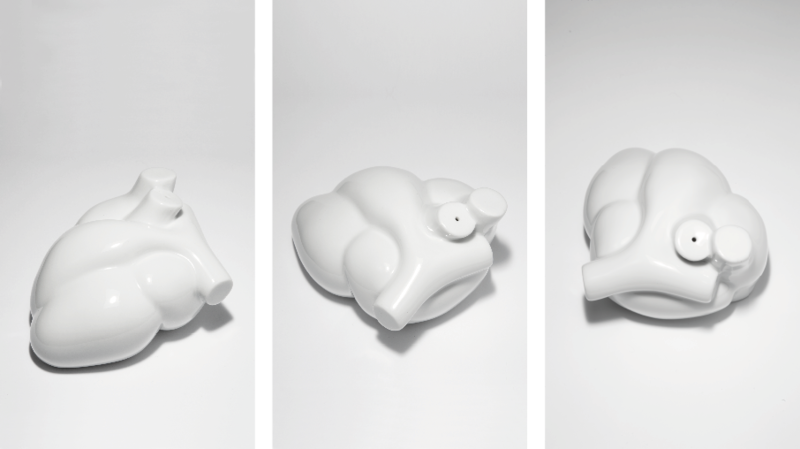 Think of your heart! We chose a material and shape expressing high value and fragility. Porcelain traditionally represents high value, fragility and is called “white gold”, just like salt. The heart is as salt, essential for human life. The break with the usual aesthetics of traditional porcelain tableware provokes irritation. Material and shape create caution or hesitation, even disgust and prevent the bad habit of untimely and excessive salting. 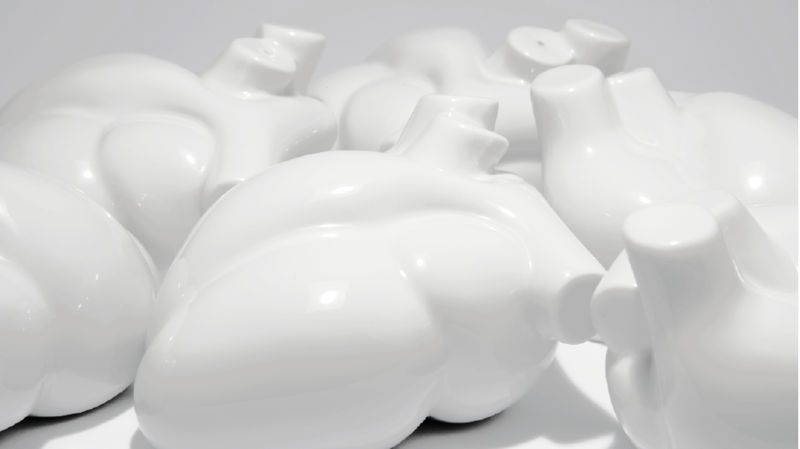 The saltshaker is currently available at www.odc-paris.com, Museum der Dinge, Berlin, Marta Herford, Herford.